We use our hands and feet every day to help us do – well, everything. Our feet get us from one place to another, and our hands help us perform many tasks. That’s why it’s vital to take good care of your hands and feet. Many hand and foot care products are designed to help you do just that. Before you look for hand and foot care products, you should first determine your needs. This ensures that you purchase the right product. Do you have dry hands and feet? Or are your hands and feet oily? You don’t want to purchase moisturizing products if you are already prone to oily skin. If you have serious problems with your feet, such as prolong scaling issues, it is important that you contact your doctor. Scaling and flaking could be signs of a more serious medical condition. Otherwise, hand and foot care products can help you keep your extremities in tip-top shape. Gold Bond Therapeutic Foot Cream helps heal and moisturize feet that are dry, cracked and rough. It penetrates thick skin quickly and has a light and pleasant fragrance. The packaging suggests that the product will soften and soothe feet as it deodorizes and revitalizes them. It advertises seven different “intensive” moisturizers in addition to vitamins that are selected for their skin nourishing properties such as vitamins A, C, and E.
The ingredients for the Gold Bond Therapeutic Foot Cream formula are: Water , Urea , Dimethicone ,t Petrolatum , Glycerin , Cetyl Alcohol , Jojoba Esters , Cetyl Esters , Stearyl Alcohol , Distearyldimonium Chloride , Steareth-21 , Steareth-2 , Propylene Glycol , Cetearyl Alcohol , Aloe Barbadensis Leaf Juice , Lavandula Angustifolia Extract (Lavender) , Chamomilla Recutita Flower Extract (Matricaria) , Tocopheryl Acetate , Retinyl Palmitate , Magnesium Ascorbyl Phosphate , Polysorbate 60 , Stearamidopropyl PG-Dimonium Chloride Phosphate , Methyl Gluceth-20 , Glyceryl Stearate , Diazolidinyl Urea , Dipotassium EDTA , Peppermint Oil , Fragrance , Methylparaben , Hydrolyzed Jojoba Esters , Menthol , Eucalyptol , Potassium Hydroxide , Propylparaben. Many of the ingredients within the product’s formula (such as Lavandula Angustifolia Extract, Menthol, and Peppermint Oil) are effective for providing a pleasant fragrance, and a cooling and revitalizing sensation. This aligns very well with the marketing claims of the product. Other ingredients (such as Aloe Barbadensis Leaf Juice, Chamomilla Recutita Flower Extract, and Hydrolyzed Jojoba Esters) are soothing and healing moisturizers. 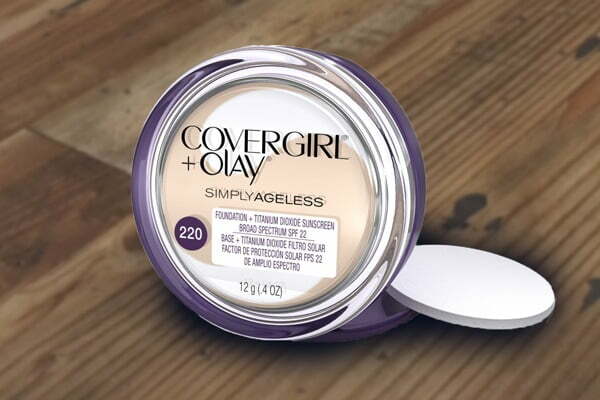 This suggests that the formula will perform as the marketing suggests. The cost of Gold Bond Therapeutic Foot Cream is about average, ranging from $5 to $8 for a 4 ounce tube. The cream is relatively thick compared to others, but it’s not too difficult to squeeze out of the tube with the easy-to-open flip cap. As advertised, most users of the product agree that the fragrance is light and pleasant. They reported that it took only a pea-sized amount to properly moisturize an entire foot, and that the product lasts a long time. Customers like that there is no greasy residue. The product absorbs quickly through callused skin. This being said, the product didn’t seem to last very long, requiring multiple applications throughout the day. After two weeks, users reported dissatisfaction with the overall effectiveness. Feet were soft only for a short time and there were already dry and cracked once more before the next application. Gold Bond Therapeutic Foot Cream appears to have some promising ingredients and it lives up to some of its claims. It seems to fall short in the primary function of the product, healing and moisturizing dry, cracked feet. Aveeno Intense Relief Hand Cream is a hand treatment product that is non-greasy yet moisturizes and heals dry skin. It protects hands against harsh weather for up to 24 hours even after washing hands. It is fragrance-free, fast absorbing, and includes natural ingredients such as oatmeal as well as rich emollients that help skin with fast-absorbing gentle care. The ingredients in the Aveeno Intense Relief Hand Cream formula are: Water, Glycerin, Distearyldimonium Chloride, Petrolatum, Isopropyl Palmitate, Cetyl Alcohol, Aluminum Starch Octenylsuccinate, Dimethicone, Avena Sativa Kernel Flour (oat), Benzyl Alcohol, Sodium Chloride. In keeping to its promises, Aveeno Intense Relief Hand Cream is a crowd pleaser. Customers and product reviewers agree that it is indeed non-greasy without leaving a slippery film on the hand and palms. Furthermore, the hydration lasts and stays put even after hand washing. The product fades if hands are soaked and heavily lathered, but it’s fine with typical washing. While Aveeno Intense Relief Hand Cream is fragrance free, it is not unscented. Those are two different terms. Fragrance-free means that fragrances have not been added to the product for the purpose of altering the odor. Unscented means that it may contain fragrances, most commonly those that are designed to mask the natural smell of the product. In this case, the product is friendlier to sensitive skin as it does not contain any fragrances at all. The smell of the product is a very light hint of oatmeal. 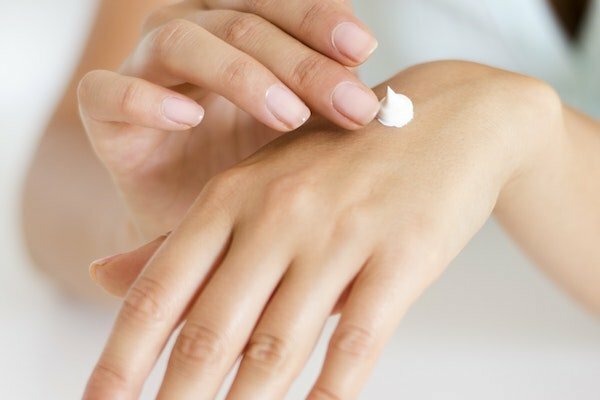 Compared to other intensive moisturizing products meant for the hands, the price is average, at around $8 to $10 per tube. Many customers report that their extremely dry, cracked, and peeling skin is helped with this product. They also say that when used over time, the dryness does not return. The main complaint about this product is that it has to be used sparingly. If too much is applied all at one time the product is not absorbed and must be wiped away. After the users learned the proper quantity, they appreciated that only a small amount was necessary. For an intensive hand therapy moisturizing product, Aveeno Intense Relief Hand Cream appears to be a quality everyday option. This is especially the case through the winter months with harsher weather.